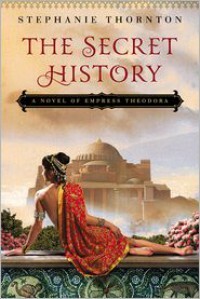 I am sad to say that for all my knowledge of history, I really know almost nothing of Empress Theodora. What a story I have missed out on! A woman who rose from less than nothing to become the most powerful woman in the Byzantine empire. A truly inspiring story. I am very impressed that this is Stephanie Thornton's first novel. It is an excellent piece of historical fiction. The reader can tell that she has a passion for history...the research she put into this novel really shows. But it's not only the historical aspects that really shine. The characters are interesting and engaging. 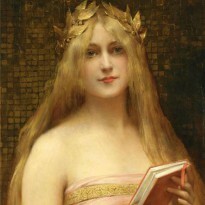 Theodora especially is a heroine to root for again and again. I mean, who doesn't love a rags to riches story? But this is a story that beats all stories of that type, in my opinion. When we look at a character like Theodora, what she had to overcome to rise so far, our hardships in life seem to pale in comparison. It's a rare treat to read a novel that is not only interesting and entertaining, but also an inspiration that all things can be overcome with a little faith and a lot of pluck. I'm so glad that I was given the opportunity to review Stephanie's first book and I'm so looking forward to her next release.